Yeah, that sounds about like 3g. lol. I think the camera and the modem get to arguing with each other sometimes, and just say screw it. Tell it to take some for me too. Mine's been quiet since this morning other than some turkeys. lol Another 100 lbs must be about gone. Re: Bad quality of Moultree Hinting Cam. Just threw it out this morning with #100 in front of it so we'll see. Neighborhood bow hunt spot and saw three large Doe bolt out when the homeowner showed me the property. Shouldn't take long. Get it on a tree. Hurry. lol. 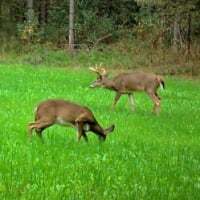 @Proaction14 Moultrie has yet to make an official announcement on our new 4G LTE products due to still being in the development and testing phase. Rest assured, we are trying to be as transparent as possible while still maintaining the high quality products Moultrie is known for producing. With regards to the MV1 it was obviously in much higher demand than we anticipated. Because of Moultrie’s strong partnership with Verizon Wireless we have worked out a solution that will keep your system running through the end of 2019. We will work through rolling over users from 3G to 4G when that time comes. So for now, rest assured that you can continue to use your Moultrie Mobile system as you have from the beginning. We will update you as soon as more information is available.